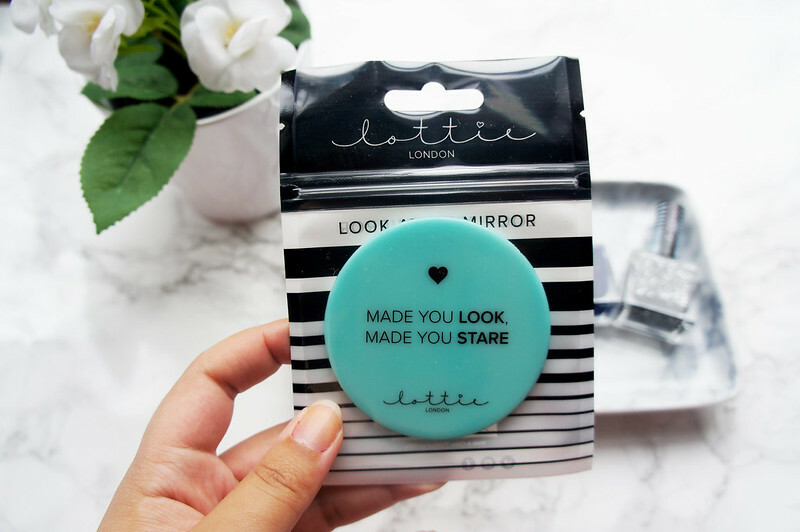 Thanks to last month's Love Me Beauty Box (use the code BECCA50 for 50% off) I was introduced to make-up brand Lottie London. 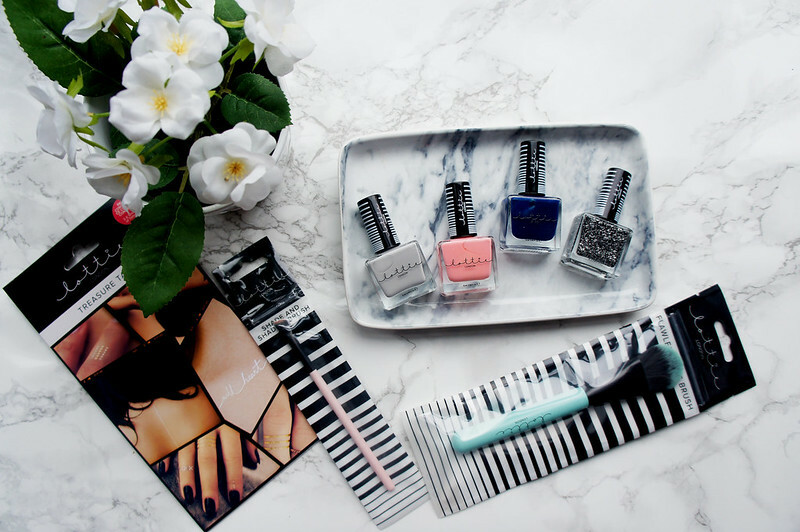 Even though I was first introduced to this brand just a couple of weeks ago I knew from just looking at the nail polish i'd received in the beauty box that this was a brand I need to buy more products from! 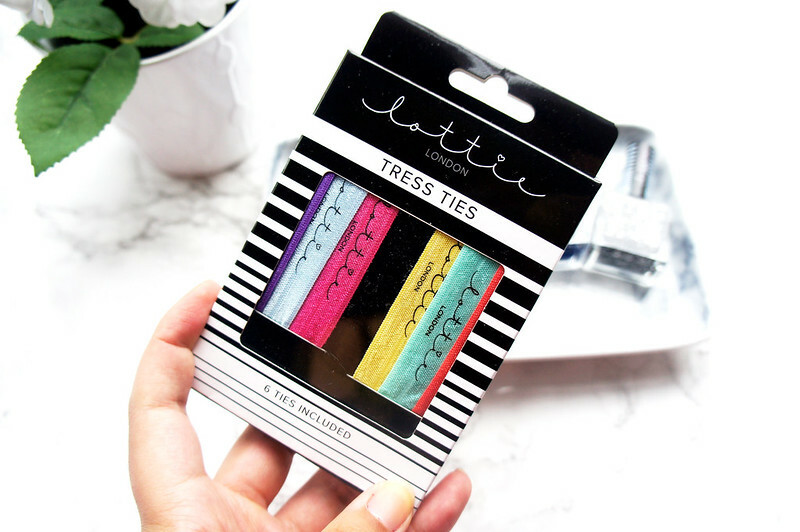 Lottie London only launched earlier this year and they are a fashion forward but affordable make-up brand. 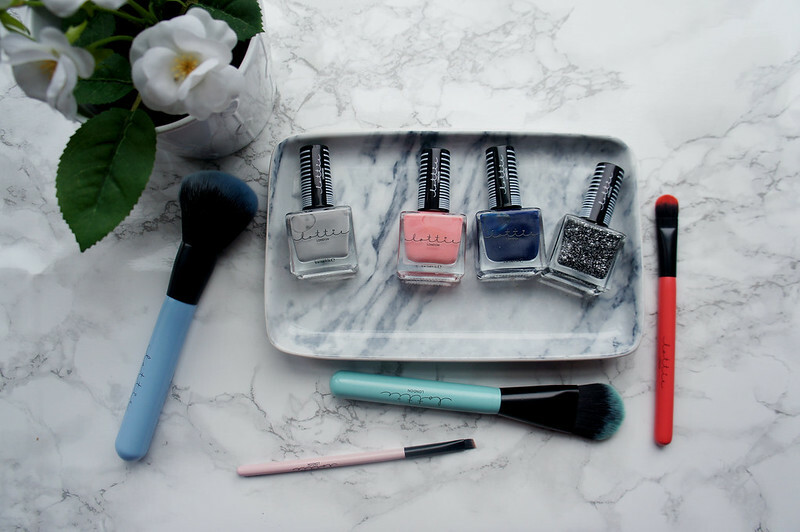 When I checked out the brand online all I saw was bright coloured make-up brushes, nail polishes and quirky accessories and I knew I wanted to try out more products from Lottie London. When the parcel arrived at my door it was beautifully packaged too. (Who doesn't love a bit of good packaging?!) 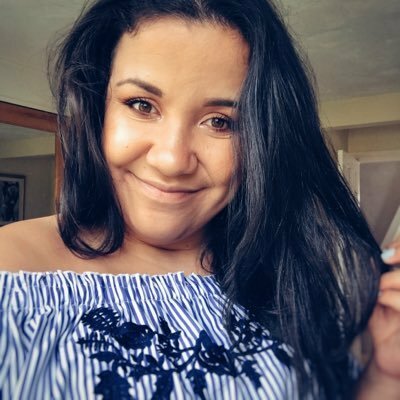 and little did I know the brand is available online at ASOS and Superdrug. This type of hair tie I've only just gotten used to using. I love the colours of the hair ties in this set and they don't look too bad being worn as bracelets either! These tattoos are perfect for events such as festivals, or anything summer themed! I think they look stylish and would add a trendy vibe to any outfit. I can't wait to dig these out next year during festival season. 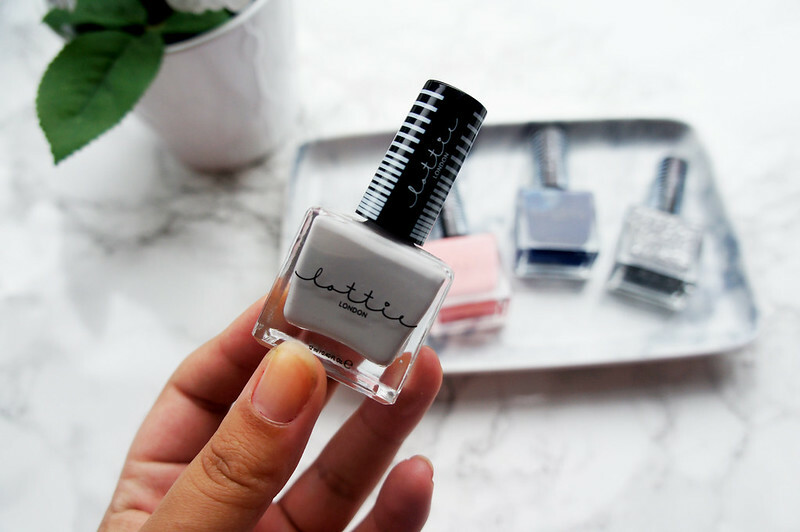 Lottie London Grey Polish* I've got this nail colour on my nails right now and I absolutely love it. It's a great shade for this time of year too. I've worn it for about 3 days now and it's still not chipped so it's a winner for me! 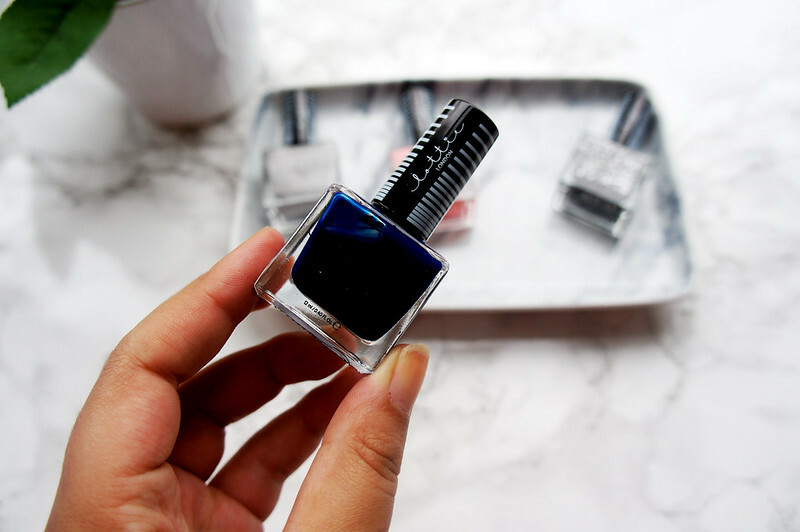 Lottie London Blue Polish* This is a colour I'd try out when it gets a little bit colder. I always associate dark blue with winter and I think it's an absolutely gorgeous shade. Lottie London Pale Pink Nail Polish* Finally I have a pale pink nail polish! It feels like a lifetime ago since I was able to find a pale pink nail polish I liked on the high-street without being too 'barbie' pink. OMG love the look of this collection! The tattoos and hair ties are so cute! 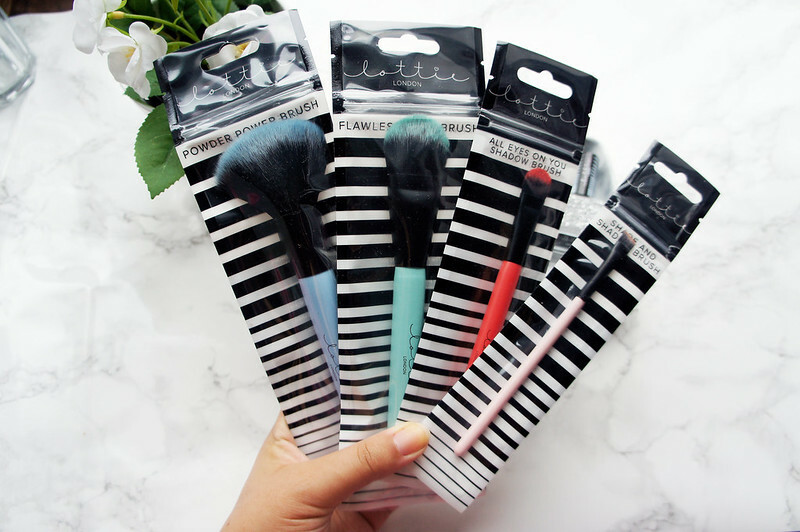 This brand is looking so adorable ! 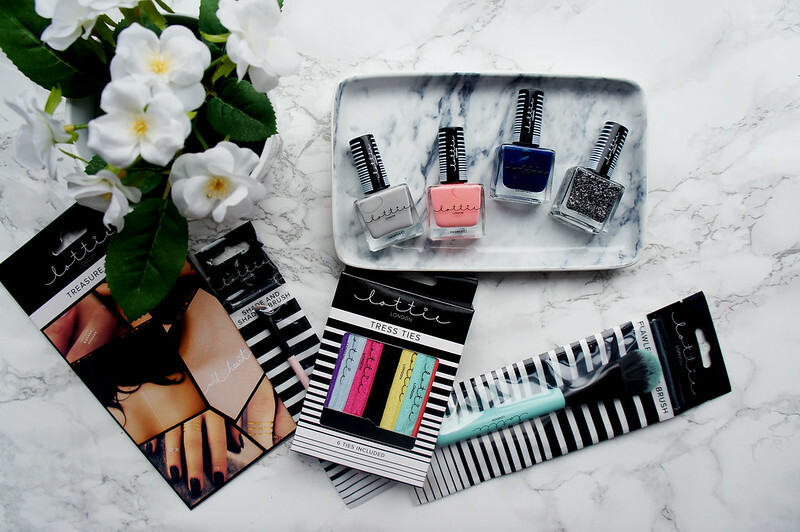 I love Lottie London, its polishes are great! 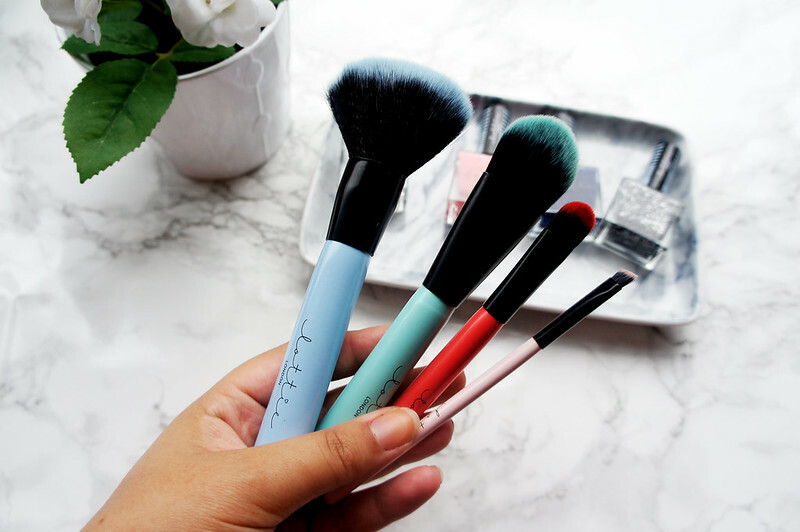 I love the colourful brushes!